Exploring Senses artist David Allistone created these unique robot mugs using hand drawn 3D printed robot designs. 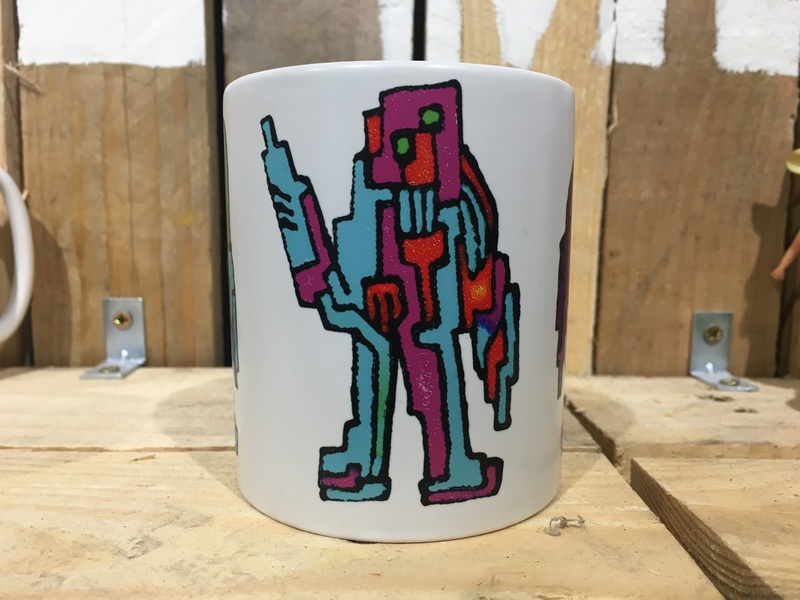 There are three different robot designs on each mug, colours vary slightly and they all look beautifully colourful and stylish. These mugs are for sale from the ES Maker lab on Brighton seafront or through our shop on the Exploring Senses website.